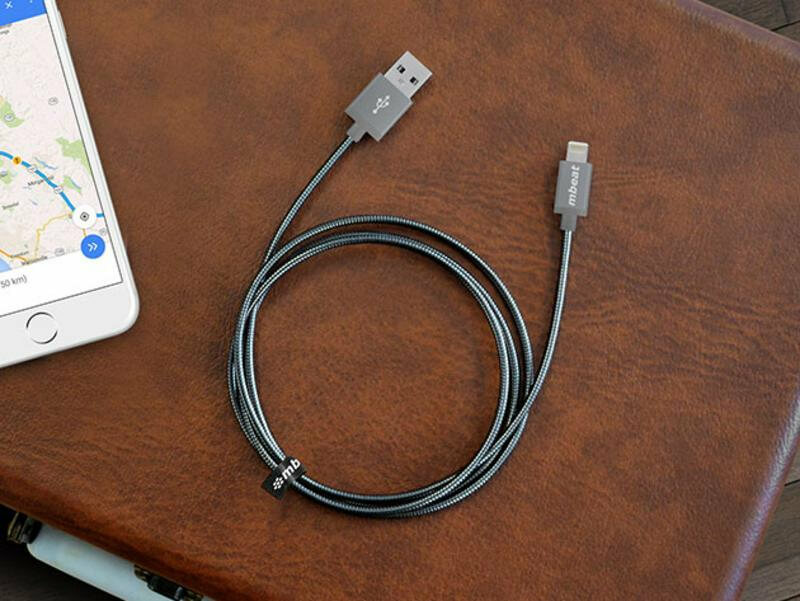 Lightning cables aren't known for their longevity, but Toughlink is looking to change that with their MFi-Certified Metal Braided Lightning Cables. Engineered from the ground up to outlast standard Lightning cables, Toughlink's cables are crafted with braided metal and a rugged aluminum crush-proof plug design, allowing them to withstand the twisting and fraying that compromises lesser charging cords. What's more, these cables are also MFi-certified, which means they're rated to charge your Apple devices without harming their batteries. Add these features together, and you have a charging solution that will not only stand the test of time but also take care of your iPhone as well. Toughlink's MFi-Certified Metal Braided Lightning Cables are available in three colors: space-gray, silver, and gold, and they're on sale for a limited time. Now, you can score a two-pack of these ultra tough charging cables for half-off their usual price. Normally $59.99, Toughlink's two-pack of metal braided Lightning cables are going for only $29.99. Built to last, these metal-braided charging cables will cut down on your trips to the Apple store.